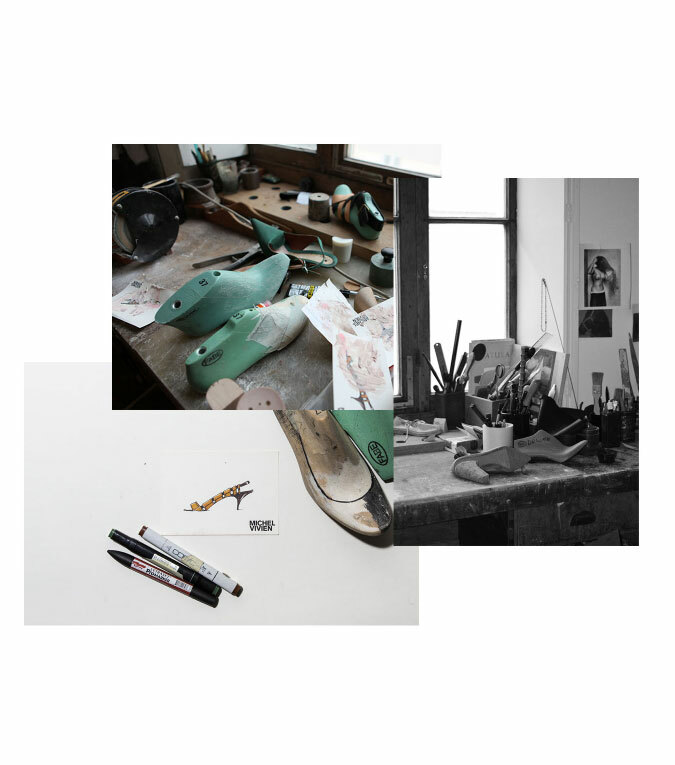 Looking at the hues of Michel Vivien’s shoes, new to Poepke, you will find a braided heel in rich cognac, a low sandal in turkish delight rose, and the scarlet red of his shoeboxes. It is through these colours that Vivien’s background in painting comes to play. As a twenty year old, he attended the National School of Fine Arts in Paris, but dropped out in order to pursue other adventures. Despite this, he has always remained faithful to his first art form; “I continued to paint and I have never stopped painting” he says. But it was at a chance meeting with two Italian brothers from Naples who owned a shoe factory, that Vivien foresaw a different future for himself. Though the eventual partnership with these two brothers failed, the original vision inspired by this encounter, is one he keeps to this day. It is a vision which balances romance with reality; “My shoes are not something extraordinary, like a sculpture or an artwork. They are made to be worn” he says. 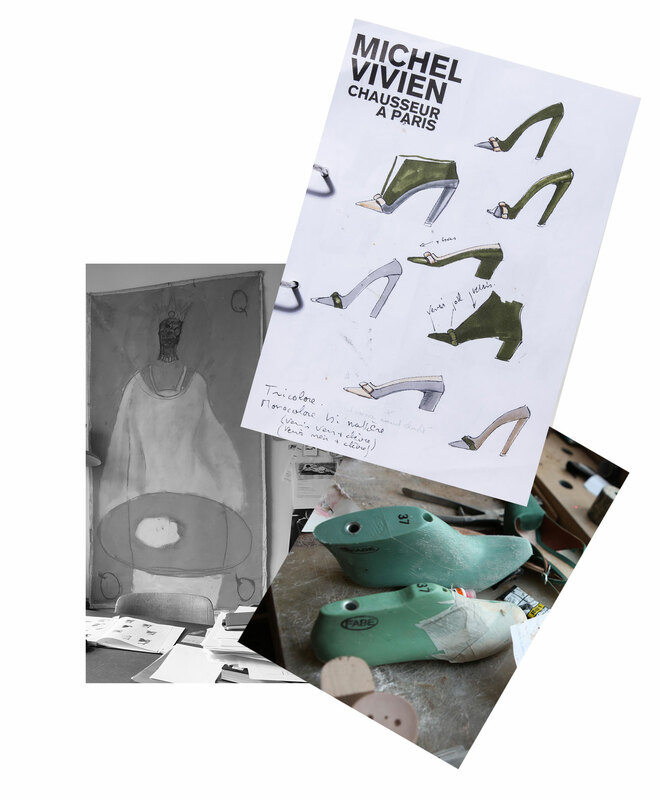 You can see our selection of Michel Vivien shoes at Poepke here.